Berkeley City Council may consider approving a new sidewalk policy, which would allocate no more than 9 square feet to an individual for their belongings. The policy also prohibits individuals from lying down within the vicinity of a BART entrance. 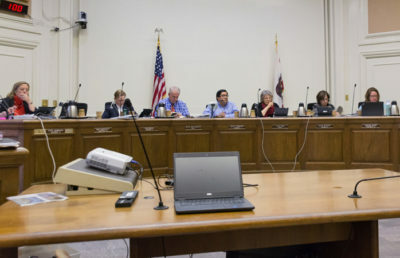 But after more than an hour of public comment at Thursday’s special meeting, Berkeley City Council sent the proposed policy back to city staff for revision. Mayor Jesse Arreguín and Councilmember Sophie Hahn put forth this item to manage homeless encampments and sidewalk behavior. 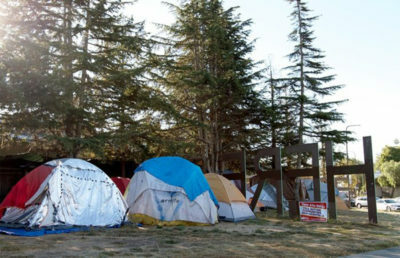 City Council decided to table the encampment policy, which it called a “first draft,” and focused the majority of the meeting on the sidewalk policy. After introducing the policy, the council opened the floor to public comment, which was mainly dominated by two opposing groups: homeless advocates arguing against the policy and business owners arguing in favor of it. Many members of the crowded room rose to speak, with a line forming around the auditorium. Homeless advocates spoke passionately, booing and clapping in response to others’ comments. Kim Nemirow, a homeless advocate who served for six years on the city Mental Health Commission, criticized Arreguín for authoring this item. 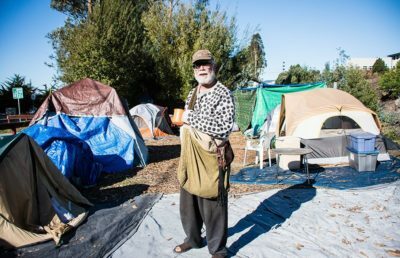 “He’s invested in affordable housing, but he’s uninvested in the experience of those on the streets,” Nemirow said. Business owners talked about the safety of their employees and customers, as well as how the homeless allegedly bring “needles, feces, aggressive behavior” to the area and negatively affect their sales. City Council reviewed the proposed policy page by page. Councilmember Lori Droste was particularly concerned about enforcement — she underscored that the policy needs to be effective. Councilmember Cheryl Davila disapproved of the fines and infractions that she believed would unfairly affect those who could not pay or travel to court. 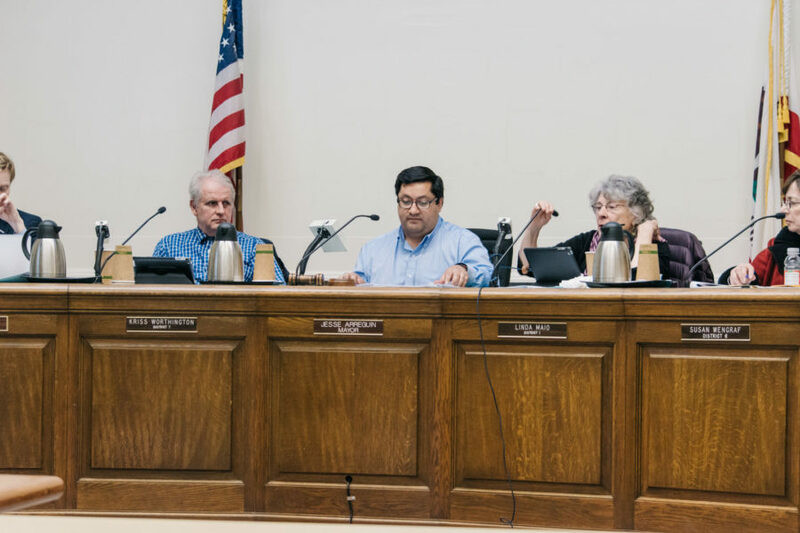 Ultimately, the council members voted to send the item back to the city staff to update the language of the policy and reflect their concerns about creating an effective but nondiscriminatory policy. Still, many residents were frustrated about the proposed policy, arguing that their voices were not being heard. Homeless advocates, such as Street Spirit writer Carol Denney, called the policy an “anti-homeless law.” She noted that sidewalks are also blocked by tables and chairs from restaurants, but few of these businesses actually have the proper permits to do so. Arreguín and Hahn reiterated that this policy would fit into a broader aim to reduce homelessness in Berkeley.